Think you’ve got SEIS tax relief – are you sure? 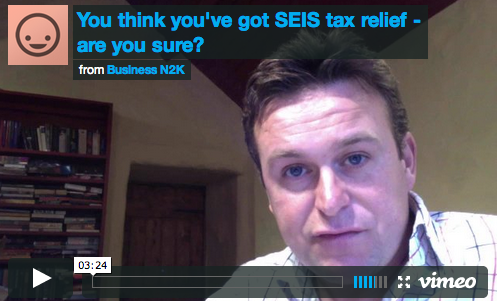 You think you’ve got SEIS tax relief – are you sure? from Business N2K on Vimeo. It is all to easy to jeopardise Seed EIS relief before you’ve even really started – unless you deal with this sort of stuff day-in-day-out. I thought I would share my thoughts and my experience in this short video above.